In the middle of the night, a howling began that disturbed my sleep. Half-awake, I tried to ascertain the origin of the incessant wailing noise. Was I dreaming? Was someone in distress? Where was the sound originating? I stumbled into the bathroom to look out my window. There was an eeriness unfolding. I watched the silhouette of majestic trees swaying back and forth in a hurried manner. 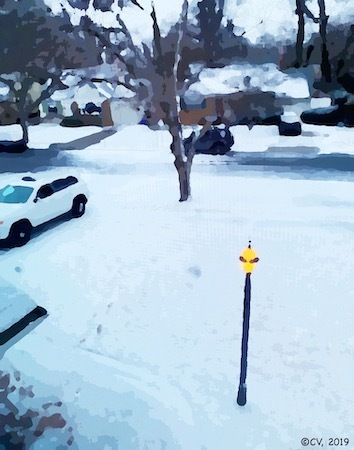 When morning arrived there was a chilled calm in the neighborhood. Winter Wind left its calling card and the prospect of chilly weather for the week. 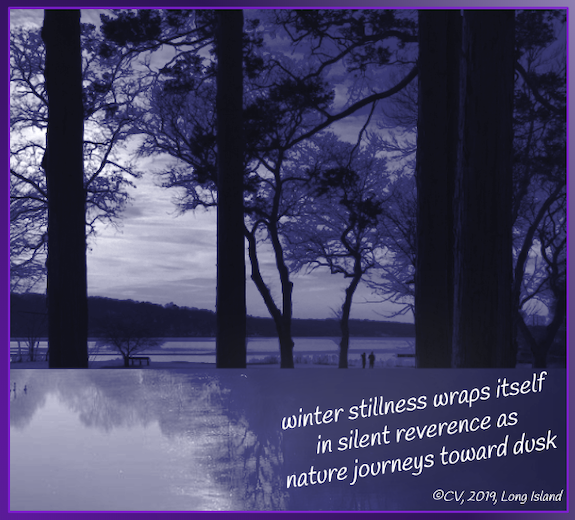 Winter has been an interesting season this year on Long Island so I continue to write documenting what I notice and wonder. Have you been intrigued by nature this winter? 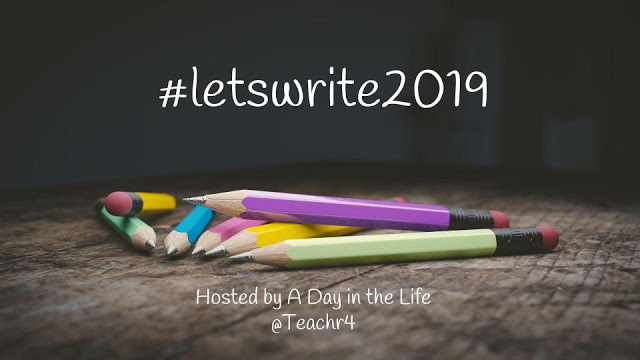 Today is the final warm-up before Two Writing Teachers' month-long writing challenge begins on Friday, March 1st. I'm ready! Did you know that February is National Haiku Writing Month? I did not realize that until today but I have been spreading #haikulove throughout the month. In keeping with the haiku celebration this month, I am sharing an amazing treasure trove of A to Z haiku from Sydell Rosenberg (1929-1996), an accomplished poet whose imaginative poetry will delight you and hopefully inspire you to read and even write haiku. 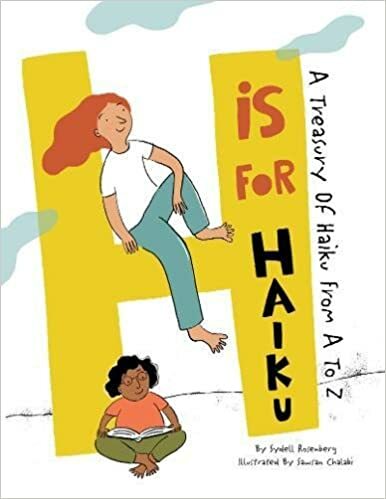 For decades, Amy Losak, daughter of poet Sydell Rosenberg, worked tirelessly to make her mother's dream of publishing H Is For Haiku, A Treasury of Haiku From A to Z come true. On April 10, 2018, the dream became a reality; Sydell's book was published. 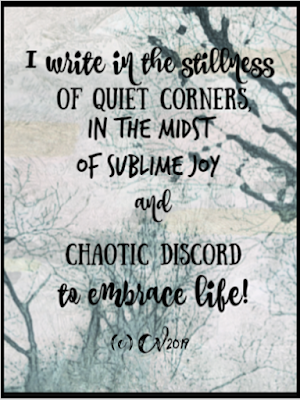 Amy and I have been exchanging messages about her mother's book for several months so I am excited to showcase Sydell's work and provide readers with Amy's perspective on the charming and whimsical way her mother envisioned haiku. Parents, educators, and children will fall in love with Sydell's small nuggets of thoughts on city life and nature in H Is For Haiku. 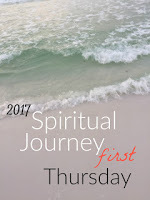 Her book is an invitation to slow down, pause, and savor the small moments of life. Let's take a look inside this treasure trove of haiku happiness. 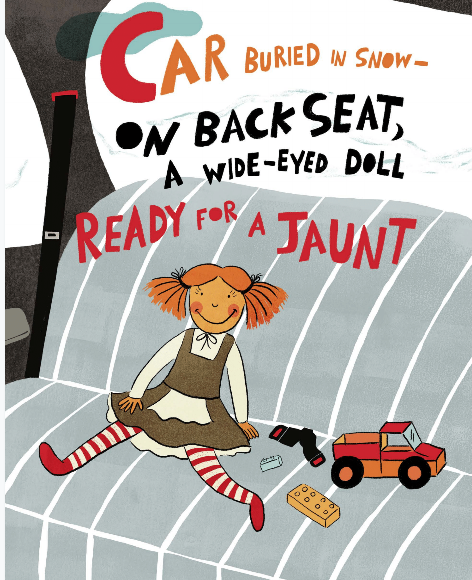 My little grandbaby would be upset if her baby could not be retrieved from a buried car but this dolly appears to be excited about her adventure. 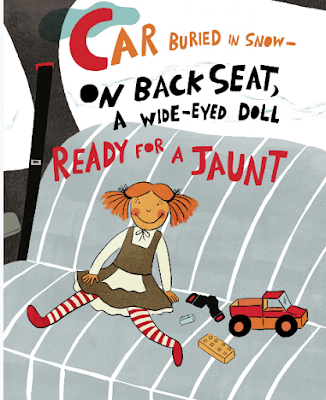 Sydell's 5-7-5 syllable pattern and child-friendly wordplay heightened by Sawsan Chalabi's imaginative illustration and visually appealing font provide the right amount of whimsy for a winter tale. 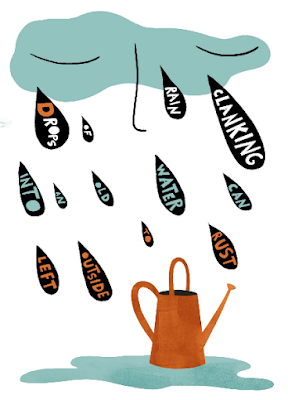 The meteorologists accurately reported that Long Island's snow would come and go, so the following haiku by Rosenberg seems appropriate, especially since my husband usually forgets to take in my Grandmother's vintage watering can. 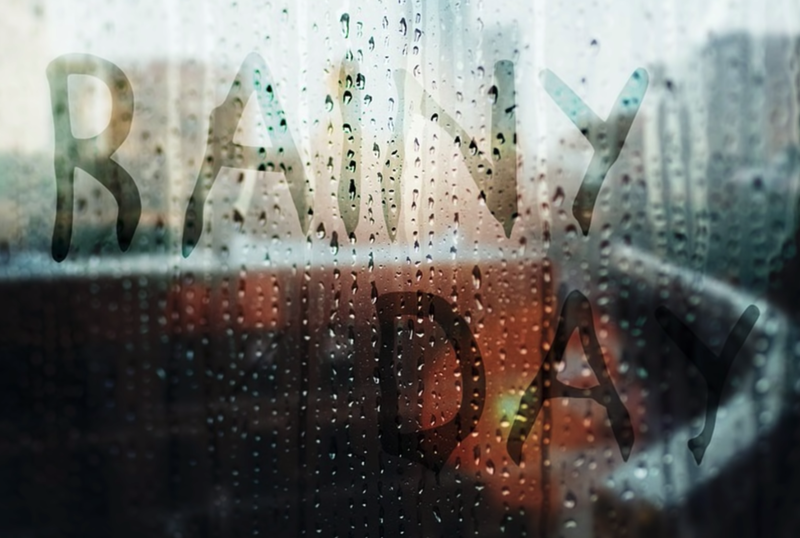 In this imaginative haiku celebrating the letter D, the arrangement of raindrops from a human-like cloud brings nature to life and invites us into the poem. 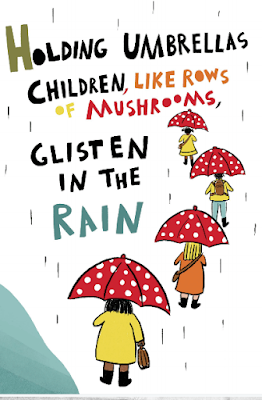 In this haiku featuring the letter H, don't you just love that Rosenberg compared umbrellas to mushrooms and that Chalabi's brightly colored artwork captures the intent of the poem in a fanciful way? Based upon the Long Island weather report, this morning I thought I would see a line of children with umbrellas like the one above but nature had other plans. The sun decided to appear instead of the predicted rain. 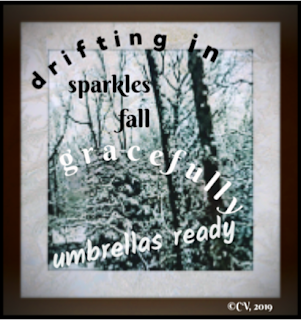 At least, I have this haiku to remind me that weather can be damp and wet but sparkly, too. 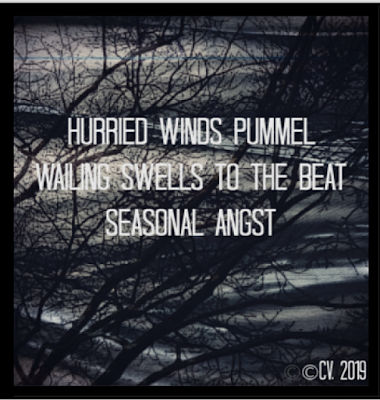 I hope you are intrigued by the sneak peek of H Is For Haiku. There are 26 haiku in this charming alphabet book for little ones and adults. Now let's turn our attention to Amy Losak and her journey to fulfill her mother's wish. 1. Amy, how did you begin the process of showcasing your mother's work? At one point, I had a kind of Eureka moment: I remembered that, a long time ago, mom had one idea in mind for illustrating her manuscript, if it ever became a book: children. I came up with my own, related idea to contact nonprofit children’s art education organizations and offer mom’s “word-picture” haiku as teaching tools. 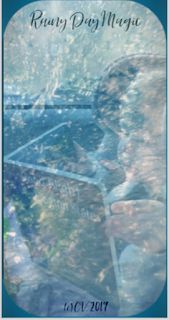 I also contacted various other organizations serving kids: nature and literacy groups, child life specialists, etc., with my ideas to integrate the beauty of haiku into their educational, creative, or therapeutic programs. At last, I connected with an outstanding New York organization, Arts For All (arts-for-all.org), and they “got” my vision. We’ve had a successful partnership for several years now. I fund the teaching residencies. AFA teachers have used a number of mom’s haiku in two city schools (one in the Bronx, one in Queens) to help teach the basics of drawing, painting, and collage; music; and theater, to mostly second-grade students (and other grades, as well). I’ve had an opportunity to visit the two schools several times to discuss mom’s haiku and share some of her story (it’s important that they connect the words to a real person: the writer). The teaching artists are so talented and dedicated, under the amazing leadership of Executive Director, Anna Roberts-Ostroff. 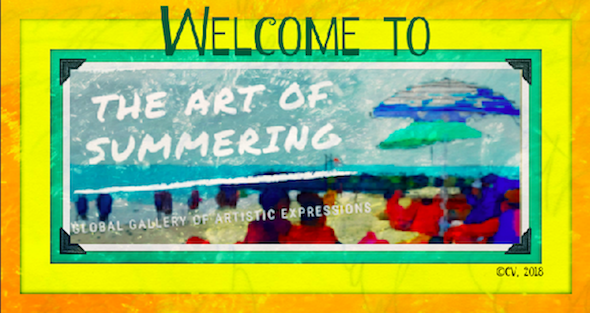 -Programs with the Children’s Museum of the Arts (Manhattan), the Queens Botanical Garden (Queens, NY), and the Teaneck Creek Conservancy (Teaneck, NJ). -Free event at the Poets House in Manhattan. 2. What do think of the way the illustrator visualized your mother's haiku? 3. What are your next steps for promoting the concept of small moments? 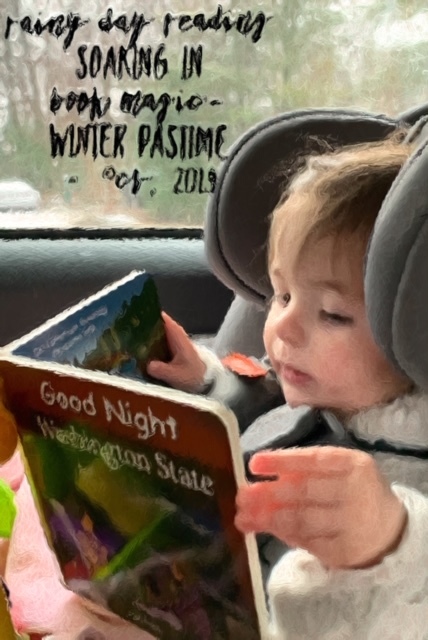 I hope to continue interacting with young people in various settings on the potential for haiku to elicit and capture an appreciation for the “small moments” that surround our daily lives. I also hope to publish another haiku picture book, perhaps one that combines my work with my mom’s. It’s in the works! 4. What would you like to add to our discussion, Amy? I view myself as an eternal beginner. I started writing haiku late and I have a lot to learn. This is fine! For me, it's more about the process than the results. 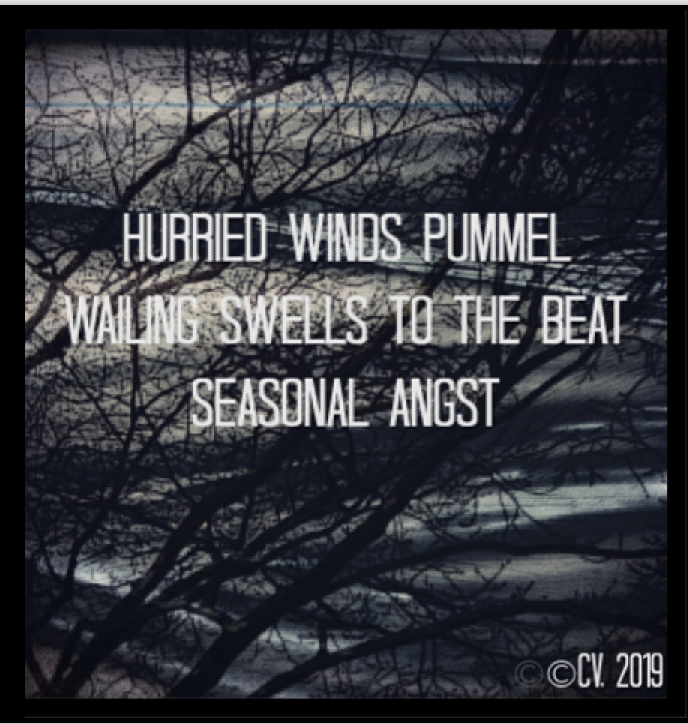 Writing haiku has opened my eyes and all my senses to the myriad small moments that can be treasures, if we only take the time to perceive them. I enjoy writing haiku, even though it’s anything but easy. Of course, this process helps me stay connected to my mom. Poets study and practice this form seriously for years. It's a dedicated community that is global. I feel fortunate to be part of it, thanks to social media. 5. Let's list the accolades for your mother's book, Amy. As Amy says, "Some of Syd's short poems (a few were published decades ago) have a city sensibility. But they also have a universal, timeless appeal. Haiku are brief: they impel young readers to slow down and linger over something they may ordinarily overlook, and perhaps find bits of magic there." I would like to thank Amy Losak for continuing conversations with me so the magic of her mother's delightful haiku could be showcased during National Haiku Writing Month. and what I imagine Virginia weather would be like. 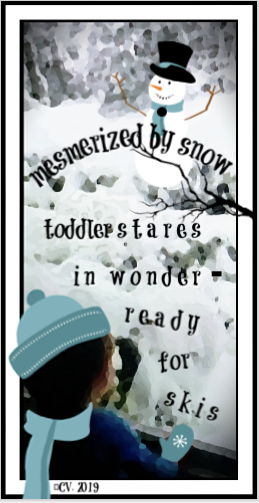 These digital inspirations were humbly designed using Rosenberg's delightful haiku and Chalabi's imaginative illustrations as mentor texts. 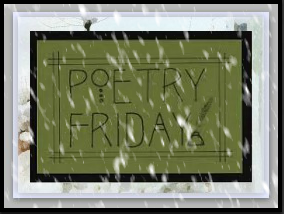 This week, Poetry Friday is hosted by the talented poet, experienced haiku writer, and creative entrepreneur, Robyn Black at her blog site, Life on the Deckled Edge. Please circle back during April for National Poetry Month when all the Poetry Friday poets will be celebrating. 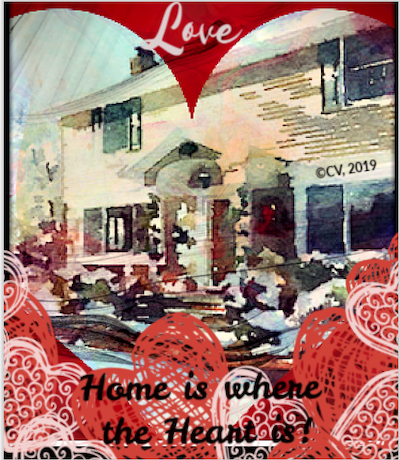 *Interested readers can purchase a copy of H Is For Haiku: A Treasury of Haiku from A to Z, by Sydell Rosenberg and Sawsan Chalabi (Penny Candy Books) at your favorite local or online booksource. As seasons pass from one to another, my writing life grows in its daily practice of observing ordinary, life-living moments. Why I ask do I seek to weave golden threads of thought into delicately-formed patterns? Is it to adorn even the grayest of days or find peace in the simplest of acts? like a butterfly fluttering in the wind. the ordinary and the sublime. As I eagerly mull over the prospect of engaging in a month of writing for the 12th Annual March Slice of Life Story Challenge, I feel each new day of writing deepens my practice and allows me to explore my writing life from different perspectives. Join me as I try out new moves, revisit past techniques, and capture other's thoughts to broaden mine. Thank goes out to Leigh Anne Eck for calling together a community of writers to make writing plans for 2019 under the hashtag #letwwrite2019. 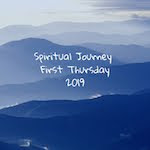 Today, I wanted to start the journey with a quiet reflection written when the only sounds I hear are the murmurings of the house. 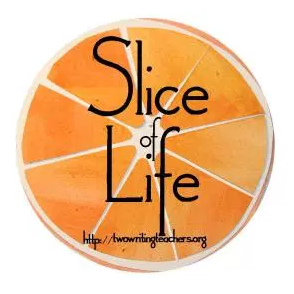 Thanks is also offered to Two Writing Teachers its weekly Slice of Life Tuesday. This year, Lady Winter shared her sense of beauty with the world as she created multiple headlines. 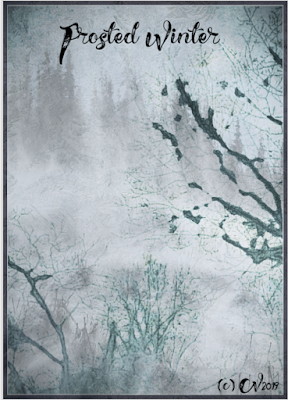 She walked the season's runway dressed in various apparels, ranging from frosted snow dustings, gray skies, dampened rains, and patterned ice, providing me with inspiration to create my own digital designs and digipoetry. 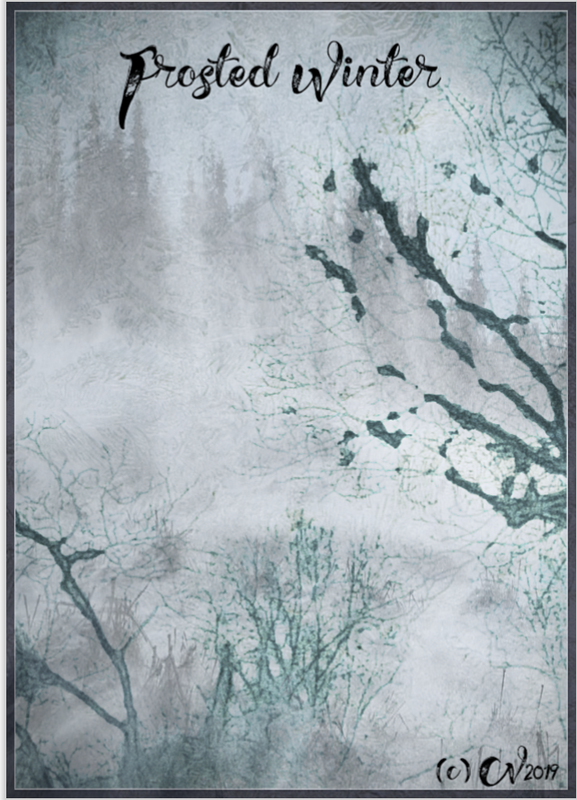 I started with the strike line, The dust of snow, from Robert Frost's poem, Dust of Snow at https://www.poets.org/poetsorg/poem/dust-snow. wonder to marvel at her artsnow. "One must have a mind of winter" and "For the listener who listens in the snow" from Wallace Stevens' poem, The Snow Man. 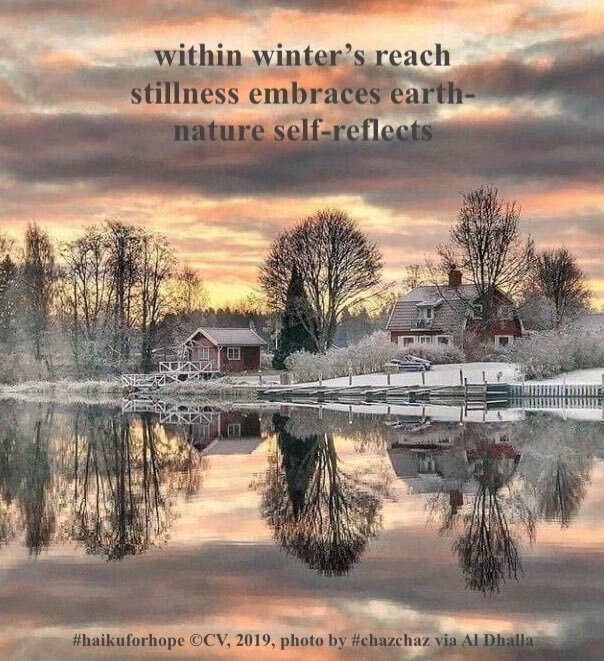 winter peace is within reach. Tonight Jone MacCulloch is hosting the Cybils Award Party at her blog site, Check It Out. I am excited to see some author friends' names mentioned as finalists. Time to join Jone. You can access the list of Cybils winners here. I learned these past few days that rainy days though dreary, in reality, can be magical when you are with your grandbaby. 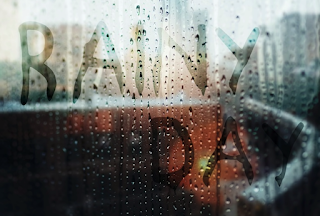 Listen to a piece of rainy day music here. On this rainy winter day, I am at peace as my grandbaby lays asleep in the next room. 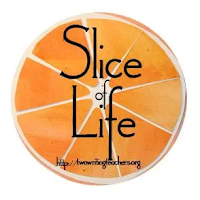 Tomorrow I travel back to Long Island but tonight, I am joining Two Writing Teachers for the Slice of Life.